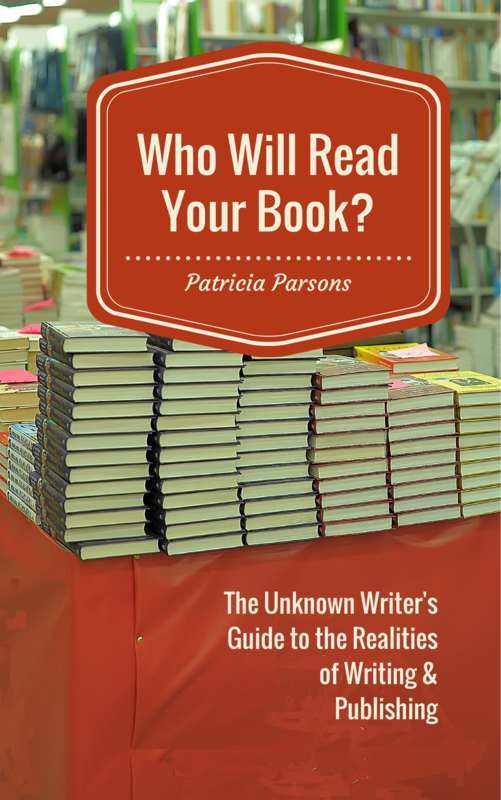 So, who will really read your book? In 1848 a writer named B.H. 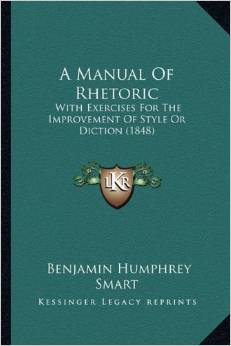 Smart produced a book quite improbably titled: Manual of rhetoric: with exercises for the improvement of style or diction, subjects for narratives, familiar letters, school orations, &c.: being one of two sequels to “Grammar on its true basis”. It was published in London by Longman, Brown, Green and Longmans and is reputed to be the oldest publication that could be reasonably described as a writing manual. Since then, manual after manual has been produced with the objective of improving writing everywhere. Today, all you need to do is plug the search term “writing manuals” into Amazon’s search function and you’ll be greeted with almost 12,000 hits; if you plug in “writers’ guides” you’ll be rewarded with almost 19,000. Within these search results there are the direct successors of Smart’s manual such as the Chicago Manual of Style (originally published in 1906) which, along with the Publication Manual of the American Psychological Association, is one of the go-to, required writing manuals for academic and scholarly writers throughout the English-speaking world. In addition to these specific style guides there are books for poets, science and technical writers, novelists, memoirists, romance writers, creators of creative non-fiction and every other conceivable type of writer one could imagine. From the style guides and how-to manuals for specific genres the writers’ guides begin to become more esoteric with books like Anne Lamott’s Bird by Bird: Some Instructions on Writing & Life, and Natalie Goldberg’s iconic Writing Down the Bones: Freeing the Writer Within, to the more recent offering from Stephen King, On Writing: A Memoir of the Craft where writers weave their personal stories around writing advice to inspire would-be writers. If you’re a writer or aspiring writer yourself, you probably own a few of these – or at least in my view, you should! All of this seems to be in spite of American journalist and writing guru William Zinsser’s pointed comment in his own best-selling writing guide On Writing Well, that most people have no idea how poorly they write. Poor writing or not, the rush to publish in the 21st century is more like a torrent where the flood-gates, in the form of agents and editors, are no longer needed to stop the outpouring of book-length publications, for better or for worse. Writers are flocking to self-publishing with a vengeance. A quick troll through the social media communities, groups and networks of “writers” suggests that the era of co-dependency is upon us in a way never before imagined as writers look to one another for guidance and moral support in their publishing endeavors. Rather than being connected to publishers, mentors or readers, they are connected to other writers – all as unknown as they are. What’s truly puzzling, though, is how no one seems to notice their members who are spelling, grammar and stylistically-challenged, not to mention devoid of talent. At least they’re not admitting it with their continual five-star reviews of every piece of drivel produced by their peers. Yet, within all of this publishing-related noise, there are truly unique and important voices that need to find a way out of the slush. What they all need is a reality check. I’d like to help to provide that. And help those unique and important voices find their way out of the noise. So, I’ve written yet another manual – well it’s sort-of a manual. The purpose of my new book is to provide a tough-love reality check on the vagaries of the new publishing models for aspiring writers while at the same time providing you with a kind of road map based on my experience as a writer, writing teacher, traditionally-published author and indie author. For my blog readers who have been here a while, you might recognize some of the foundational material in the book – it did evolve from this blog (there’s a whole other story, isn’t it? Turning blogs into books. I could tell you…). There is a whole lot more, though, and I’ve tried to tell readers my own story of making it onto the traditional publishing merry-go-round, and then dabbling in self-publishing. Along the way, I learned a lot and this experience, coupled with my research over the years as as a university prof, has resulted in this book. Here’s the book trailer. Let me know what you think. Next Self-publishing versus vanity publishing: What’s the difference anyway?